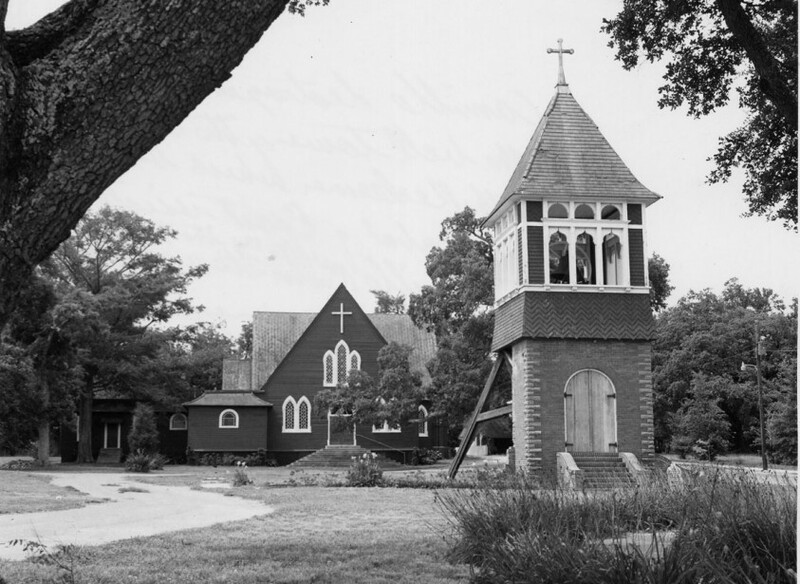 On August 17, 1969, Hurricane Camille destroyed all but the bell tower of the 1891 brick Church of the Redeemer. Between the tower and the rebuilt wooden church, a Camille Memorial was established consisting of slabs of marble containing the names of the dead set about a pool. Hurricane Katrina destroyed the tower, the church, and shattered the memorial tablets. Photo from Mississippi Gulf Coast Community College C.C. “Tex” Hamill Down South Magazine Collection. In 2005, Hurricane Katrina wreaked havoc on the Mississippi Gulf Coast. In addition to extreme loss of life and property in Mississippi and neighboring Louisiana, the hurricane damaged and destroyed a great deal of the region’s cultural treasures. In the months and years after Hurricane Katrina’s landfall, the NEH awarded more than $2 million in emergency grants to rescue and preserve artwork, books, manuscripts, archival records, and other cultural artifacts. 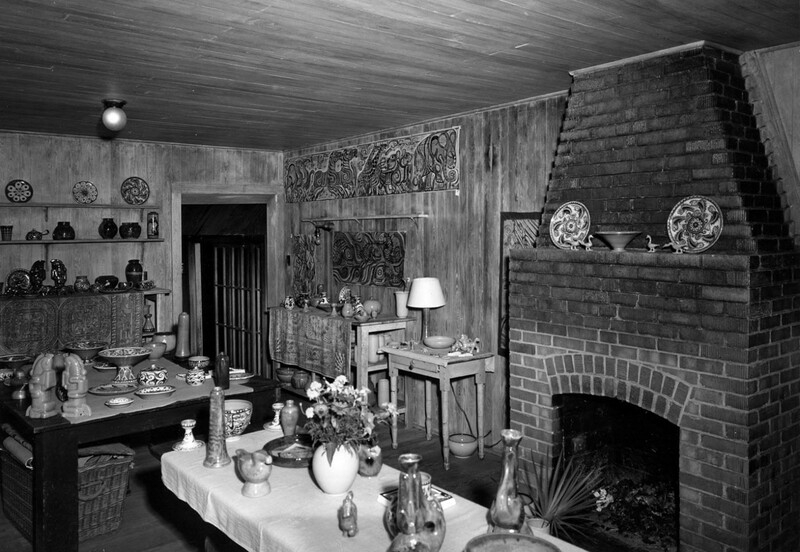 The display room at Shearwater Pottery, Ocean Springs, MS, offered a variety of shapes and designs, all of them the original creations of nationally-acclaimed brothers Peter and Walter Anderson. On August 29, 2005, Hurricane Katrina virtually destroyed Shearwater Pottery on its bluff overlooking the Ocean Springs small craft harbor. Photo from Mississippi Gulf Coast Community College C.C. “Tex” Hamill Down South Magazine Collection, circa 1956. Mississippi Gulf Coast Community College (MGCCC), Perkinston was the recipient of several emergency grants, which it used to preserve more than 46,000 photographs and photographic negatives that document the culture and diversity of the Gulf Coast region. The photographs, which originally belonged to the publishers of Down South magazine and the owners of the Dixie Press Publishers of Gulfport, represent life on the Mississippi Gulf Coast from roughly 1925–1975. After Hurricane Katrina wiped out 65,000 homes in Southern Mississippi and heavily damaged the towns of Waveland, Bay St. Louis, Long Beach, Gulfport, Biloxi, Ocean Springs, and Pass Christian, these photographic collections became all the more valuable. The collections include images of buildings and the stately homes and oak-lined boulevards that characterized the region. It also included pictures of events both large and small, including the opening of NASA’s John C. Stennis Space Center in 1966, beauty pageants, and fishing tournaments. For the many who had lost all of their personal possessions, the collection was a valuable resource that needed to be preserved and made accessible. 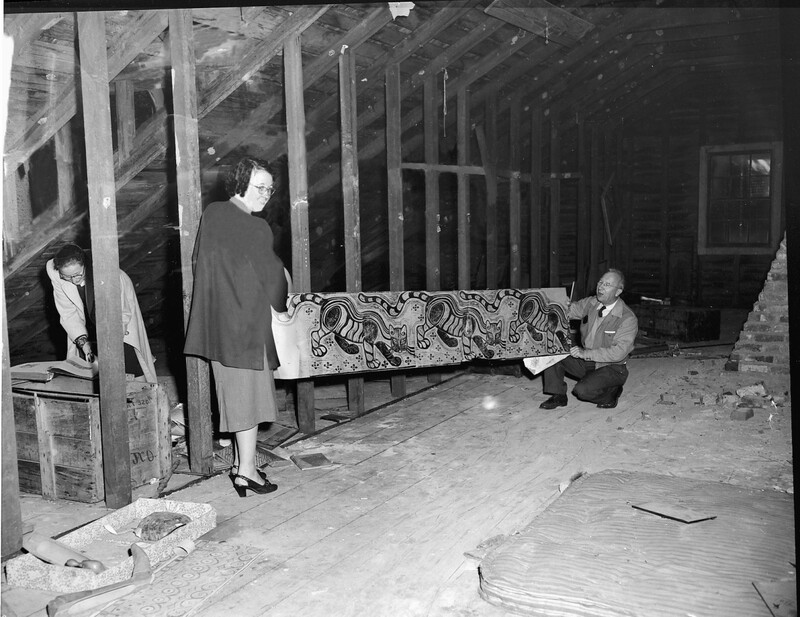 Ray Thompson and Ruthe M. Carr hold a Walter Anderson print in the unfinshed attic at Oldfields House, a National Historic Site in Mississippi. Originally published in Down South Magazine, this photograph was one of the many saved with the assistance of NEH grants. Image courtesy of Mississippi Gulf Coast Community College C.C. “Tex” Hamill Down South Magazine Collection. The images had been housed in buildings that were severely damaged by Hurricane Katrina and were subsequently exposed to high heat and humidity. The NEH provided funding to hire an expert conservator; purchase new storage equipment, fans, and a dehumidifier; and train staff members to re-house the materials and use the new equipment—work that took several years. Today, images from the collection adorn the walls of Pass Christian Civic Center and the Biloxi businesses of First Bank, Beau Rivage Casino, and the White House Hotel. Both the Smithsonian Institution in Washington, D.C. and the Field Museum in Chicago, Illinois have used pictures from the collection in exhibitions. And MGCCC has published a book featuring images from the archives: Gulf Coast Album: A Journey in Historic Photographs 1899–2011 Across the Mississippi Gulf Coast to Mobile.